A function to show the lyrics. Really need a feature like this,a bar for rolling subtitles with color marking. Then I can put the lyric within the view and make it stay with the part(of song) it belonged to, also I can mark the emotion of this part with colors. I think it would be very helpful for creating songs. Of course it should be an optional function, person in need can turn it on. Hope to see this feature in.... maybe next update? Re: A function to show the lyrics. D.Trump wrote: Really need a feature like this,a bar for rolling subtitles with color marking. Might a text/info/lyrics track on its own. You may place it where you want it. Head over to centercode and give it avote! 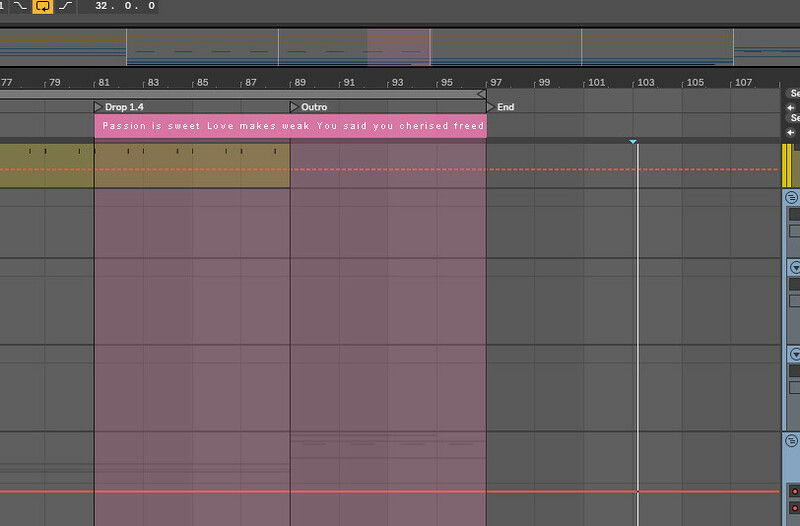 I just use a MIDI track, with MIDI clips named to lyrics.